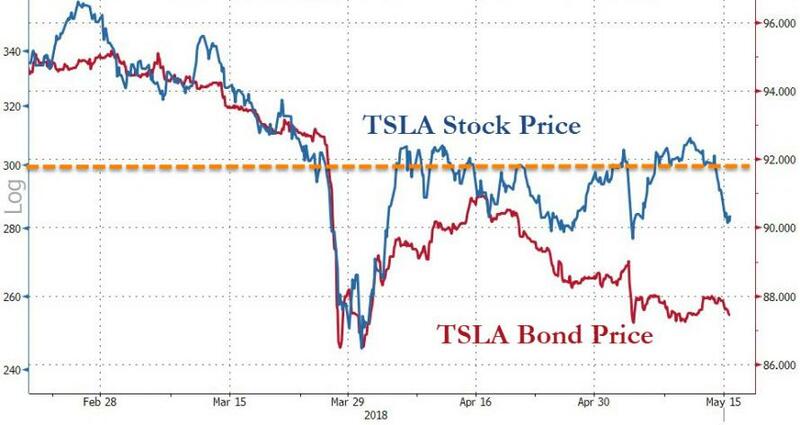 Tesla share price continues to tumble down towards its bond price following headlines from Reuters, citing sources, that the car-making company will shutter production of the Model 3 from May 26th to 31st for "fixes to its assembly." Reuters notes that two sources confirmed that the next stoppage on the general assembly line at the Fremont, California, plant was scheduled for May 26-31. The production-challenged electric vehicle maker previously warned of 10 days of temporary shutdowns this quarter as the company addresses manufacturing problems that have delayed volume production of the Model 3 sedan, which is seen as crucial to Tesla’s long-term profitability, Reuters adds. This follows the previous production halt on April 17th to make "on-the-fly fixes", as well as a prior stoppage in February. The April shutdown, combined with the upcoming one, would add up to the planned 10 days of stoppages. Musk, Tesla’s billionaire founder, told employees it was “quite likely” the company would reach a rate of 500 Model 3s per day this week, or 3,500 a week, automotive news website Electrek reported on Tuesday, citing an internal email. Musk also told staff to alert him of “any specific bottlenecks” on the production line. 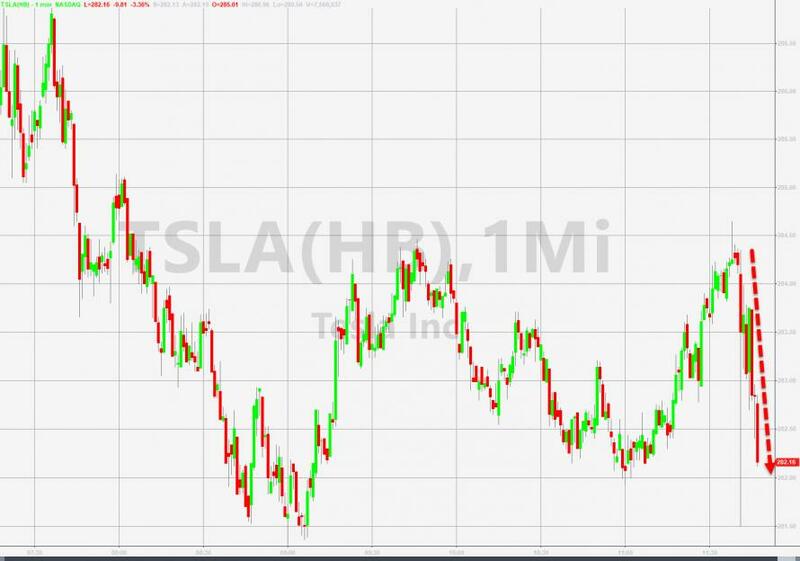 While Musk has said the planned stoppages are intended to give the company time to perform upgrades that will help it reach a goal of building 6,000 vehicles per week by the end of June, the market is becoming increasingly skeptical, especially since in order to meet the production goal of 6,000 cars per week by the end of July, Musk said last month that all Model 3 production would begin working around the clock. Reuters learned that the teams working on general assembly have already switched to three shifts, a schedule that helps maximize capacity and flexibility; the news wire adds that teams working on the body of the vehicle - where the external shell of the car is assembled - are working in two 12-hour shifts.